General, Commercial Premises, Investment Properties, etc. 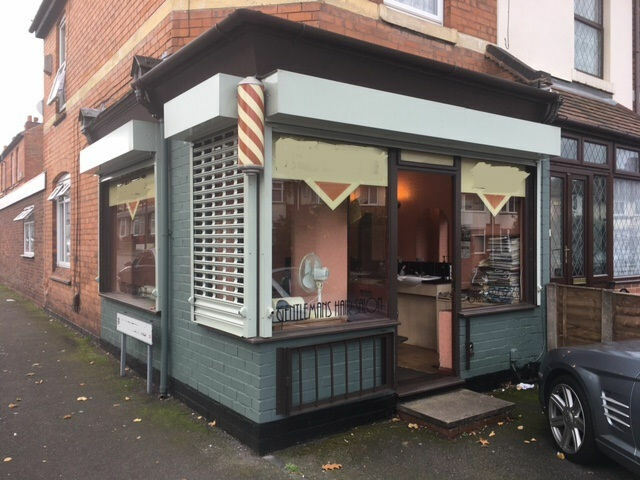 A great opportunity to purchase the goodwill fixtures and fittings and the lease of a hairdressing business operating from Halesowen town centre premise recently refitted and equipped (£30K refurb) to a very high standard. The business is run by two staff members one paying £400 per month to rent a first floor room and the other £200 per week for a chair on the ground floor. Takings averaged with the previous owner £5,000 per week and there is no reason why this turnover could not be reached again. The premise comprises ground floor salon area with 8 styling positions and 2 x backwashes. To the first floor beauty room 1 kitchen WC and large beauty room 2 with outside rear service road and parking space all secured on a 10 year lease from 2016 with a rent of £16,000 per annum. Well established hair salon operating for over 50 years and in the present owners hands since 1983 and only now being sold due to retirement. Takings average £1,500 per week and is operated by the two owners with two part time staff. 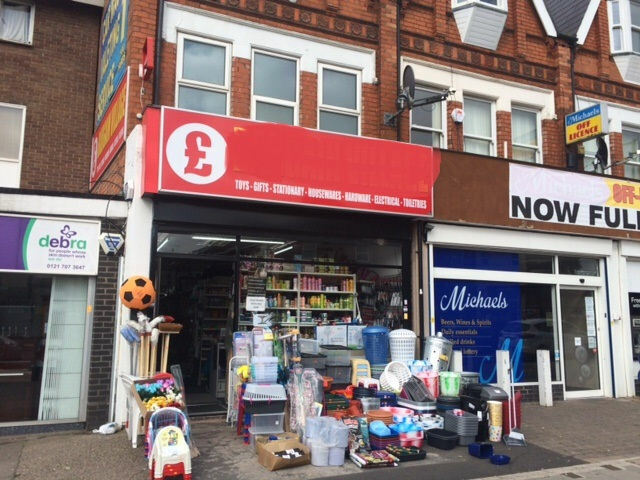 The premise is in a small parade of shops including Costcutter convenience store Beautician Indian takeaway & fish & chip takeaway with plenty of customer car parking and comprises ground floor sales area small kitchen store room and WC with outside rear 2 x car parking spaces. To the first & Second floors there is a separate entrance self contained flat with lounge kitchen bathroom and two double bedrooms which is let at £600 per month. The whole property is to be secured on a new lease terms negotiable with a rent of £15,000 per annum. 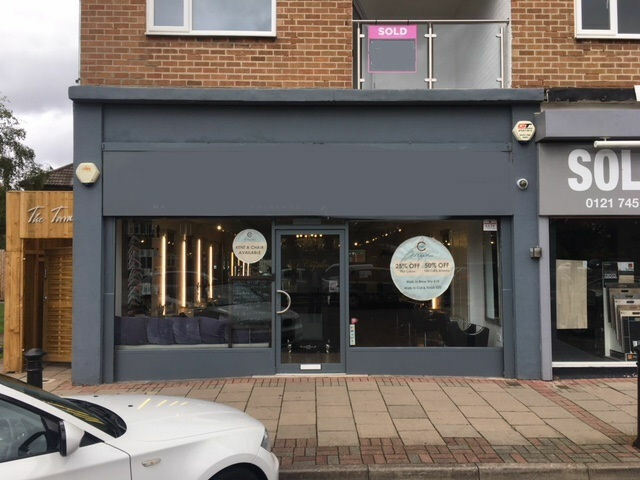 Quality superbly fitted and equipped hair salon located on a busy main road in a parade of shops with plenty of customer parking in an excellent residential area of Solihull. The premise briefly comprises ground floor salon with 10 x styling positions all with chairs mirrors and 4 drawer dressers with rear washing area with 3 x backwashes separate beauty room kitchen stock room and WC. To the outside rear of the property there is an enclosed yard. Takings average around £1,700 per week operated by the owner with 2 x stylists plus further income of £200 per week from 2 x rent a chairs. The property is secured on a 10 year lease from 2015 with a rent of £21,600 inclusive of VAT. Super opportunity to any enterprising new owner to purchase a high class salon in Solihull with tremendous scope for improvement. For sale a very well established ladies hair salon operated by the same owner for the last 39 years and only now selling due to retirement. Gross takings average £3,000 per week from hours of 9.00am to 5.30pm Monday to Thursday and 9.00am to 6.00pm Friday and 8.00am to 4.00pm Saturday. The owner works around 3 days per week and has 2 stylists and shampoo lady. 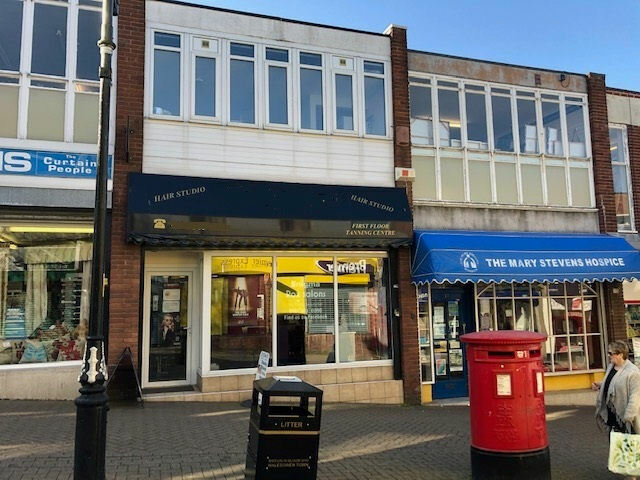 The premise is in a good quality parade of shops with customer parking and briefly comprises ground floor salon recently refitted with 5/6 styling positions rear kitchen small store WC and outside rear yard with parking for two vehicles. The premise is to be secured on a new lease with a rent of £14,000 per year. There are currently no rates to pay at the premise. Great opportunity to purchase a thriving business with an excellent customer base. Established hair salon business for sale located in Solihull West Midlands with takings around £1,000 per week operating from a 5 day week with the owner working about 20 hours and two part time stylists and a rent a chair girl. The premise comprises ground floor salon area with 6 styling positions 2 x backwashes rear store kitchen and WC and outside rear yard with beauty room/store room and opportunity for rear parking and to the front forecourt with 2 x parking spaces. The premise is secured on a lease with a rent of £8,500 per annum. The salon is very well fitted and equipped and has a reception counter and nail bar not used at present. 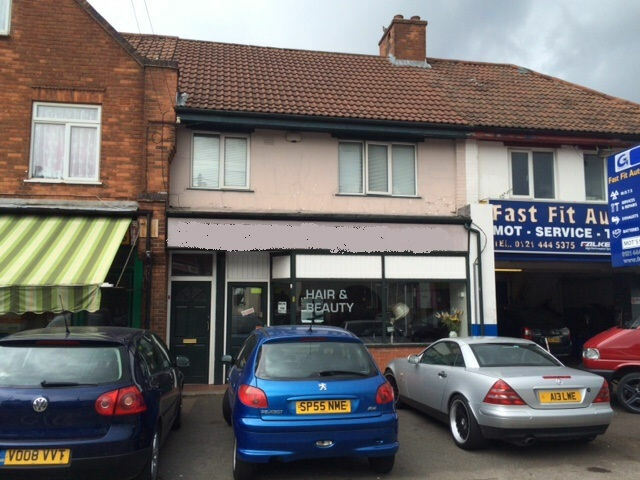 Good opportunity to purchase an up and running hair salon in a good location on a very busy main road. Freehold A5 Hot Food Takeaway property for sale with two bedroom separate entrance accommodation currently being used as a hair salon. The premise is in a small parade of shops including Costcutter convenience store hair salon/beautician Indian takeaway & fish & chip takeaway with plenty of customer car parking and comprises ground floor sales area small kitchen store room and WC with outside rear 2 x car parking spaces. To the first & Second floors there is a separate entrance self contained flat with lounge kitchen bathroom and two double bedrooms which is let at £600 per month. Vacant possession could be given on completion of a sale. Great opportunity to purchase a valuable freehold property with A5 hot food takeaway consent. 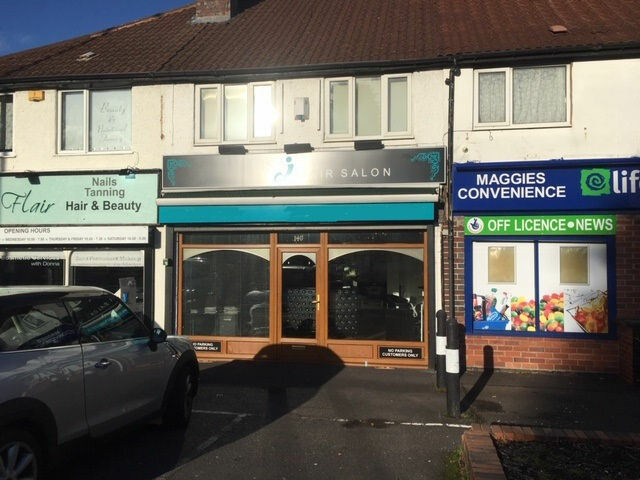 The Hair Salon business is for sale without the freehold at a price of £24,950.00 and secured on a new lease please ask for details. Discount store for sale selling a wide range of goods located on the busy A41 Warwick Road in the centre of Acocks Green with many shops restaurants pubs and offices and in a densely populated residential area south of Birmingham operating from ground floor retail shop with rear store further store and WC total area approximately 109 sq.m (1,185 sq.ft) with outside front forecourt used for displaying goods and small rear yard. Takings average £1,500 per week with a gross profit yield in the region of 60%. The property is secured on a 5 year lease from 2016 with a rent of £15,000 per year. Hours 9.30am to 5.30pm Monday to Saturday closed Sundays. Reduced for quick sale. 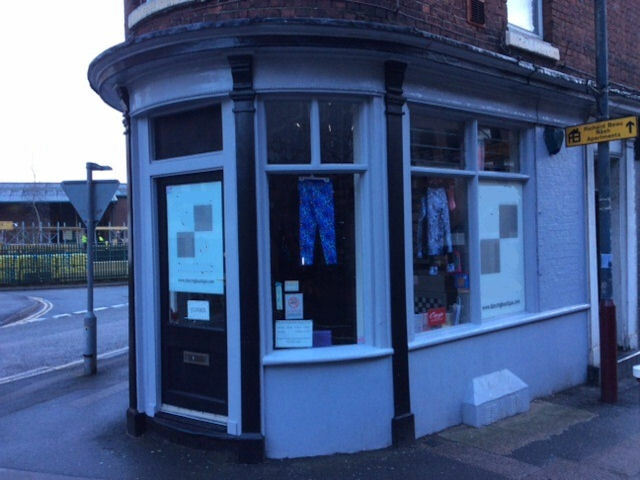 Great opportunity to purchase a dance wear and shoes retail business established by the current owner in 1971 operating from a retail shop in this affluent town in Kent. The business specialises in dance wear for local dance schools in Kent and East Sussex and surrounding areas and supplies several schools around the country. Gross sales average £8,716 per week with a gross profit yield in the region of 44% operating 9.30am to 5.30pm Monday to Friday and 9.00am to 6.00pm Saturday. The business has an excellent reputation and is the only supplier locally outside of London. 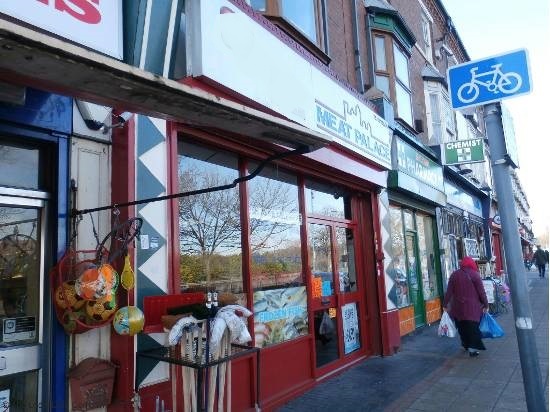 The retail shop of some 61.28sq.m (670sq.ft) comprises front sales area rear sales area with 2 x changing areas kitchen office and WC all secured on a lease with a rent of £17,000 per annum which includes a separate warehouse used for storage. The business is operated by the owner with a full compliment of staff and is only being sold due to retirement. 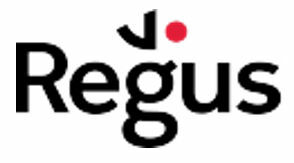 Regus has over 300 properties throughout the UK and over 3,000 world wide offering fully furnished office space and meeting rooms with very flexible terms including monthly payments pay as you go or packages to suit your budget. When you join Regus you join a world wide club that not only has offices and meeting rooms but business lounges around the world you can drop into on your travels. If you require new office premises or are starting up in business contact us to discuss your own personal requirements. To let ground floor commercial property with A1 retail use or A2 office use. The premise is situated on the A4126 Walford Road at the junction with the A34 Stratford Road in Sparkhill Birmingham approximately 2 miles from Birmingham city centre. 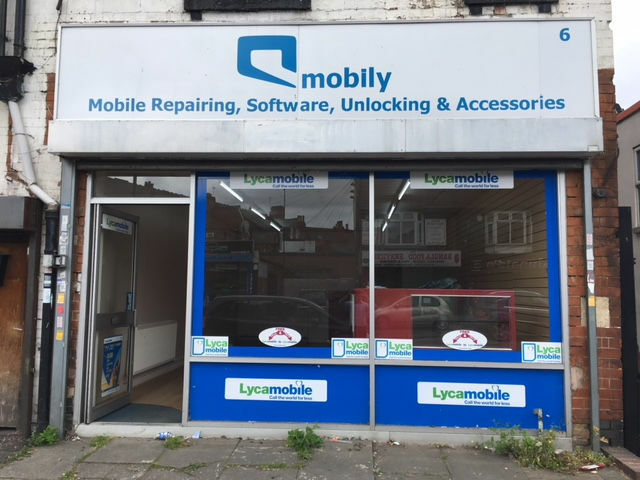 Situated within a parade of shops the total area amounts to 750 sq.ft approximately with front sales area rear kitchen WC and further rear sales area to be secured on a new lease terms negotiable with a rent of £8,000 per year. The property has the benefit of gas fired central heating and electronic front security shutters. 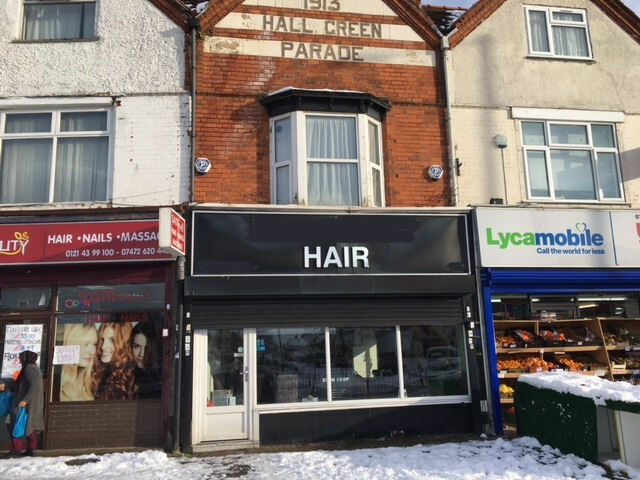 A gas centrally heated throughout 3 storey freehold retail shop for sale with two bedroom accommodation situated in a well established parade of shops with plenty of parking on the main A34 Stratford Road in Hall Green Birmingham. The shop is currently operating as a ladies hair salon with sales averaging £1,400 per week and is fully fitted and equipped. The premise briefly comprises ground floor sales area together with rear kitchen and WC and is approximately 46.9 sq.m (505sq.ft) to the ground floor. Internal stairs lead to first floor lounge shower room kitchen and to the second floor two double bedrooms. Outside there is a rear yard and rear service road. The property is for sale with or without the business. Rare opportunity to purchase a freehold 30 place private childrenâ€™s day nursery located in the Solihull area having very good Ofsted reports and with a turnover for year end 31 March 2016 of £217,000 with an adjusted net profit for the year of around £80,000. The business has been established over 24 years with the current owner having run the concern for the last 14 years with a manager and 10 further staff. The semi detached two storey gas centrally heated property of some 160sq.m (1,723sq.ft) comprises ground floor pre school rooms with wet room snug room 2 x kitchens WC and to the first floor baby rooms with kitchen office staff WC and store. Outside there is a rear astro turf play area and rear car park for up to 8 cars. The business operates 7.30am to 6.00pm Monday to Friday. Established Barbers business for sale in the same owners hands for the last 19 years and only now selling due to other business commitments. The owner operates the business Wednesday Thursday & Friday 11.00am to 6.00pm and takes on average around £350 per week. The business of course could be open longer hours and has at its peak produced figures well over £1,000 per week. The property comprises ground floor shop with 3 x styling positions with 3 x Belmont adjustable barbers chairs 3 x backwashes with shower units 3 x wall mirrors table with cash register and 3 seater sofa and to the rear WC with wash hand basin. There are front window security roller shutters and a front drive with one parking space. There is plenty of customer car parking space surrounding the shop. A new lease is available terms negotiable with a rent of £80 per week. The purchase price includes the goodwill fixtures and fittings and the new lease. 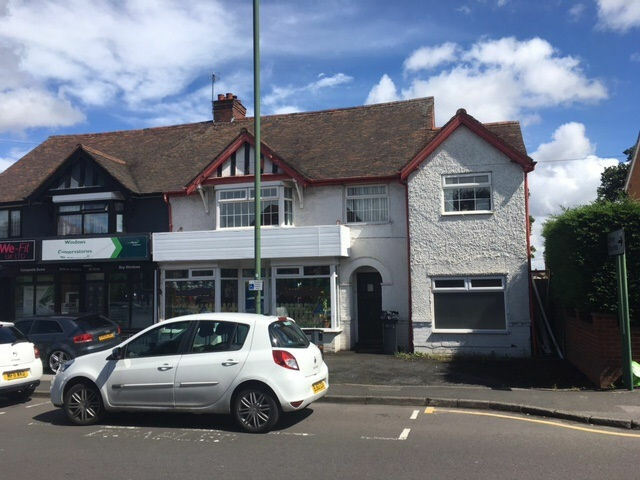 Freehold Retail Shop For sale located in Castle Lane Olton Solihull West Midlands in a parade of shops including Childrenâ€™s day nursery Chinese takeaway newsagents hair dressers and beauticians with customer car parking. The detached brick built single storey property with pitched tiled roof comprises front sales area with rear store/kitchen and outside side yard with parking for up to two vehicles further rear yard and WC. Total area 48.8sq.m (525sq.ft) approximately. The use of the premise is for A1 retail but A2 office use may be possible subject to planning consent. The premise is not suitable for A5 Hot Food Takeaway. The rateable value is £4,600 and with small business rates relief there would be no rates to pay. The premise is located in an excellent residential area and suitable for own use or for an investment property. 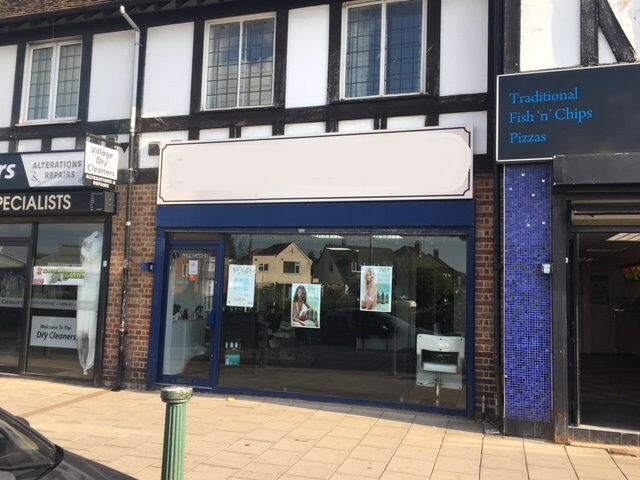 Ground floor retail/office premise to let located in Acocks Green centre a thriving commercial area with many multiple retailers including Costa Coffee Wilko Boots Burtons Barclays bank ETC. The mid terraced two storey property comprises ground floor retail/office space with kitchen and WC of some 57.8sq.m (620sq.ft) with front forecourt allowing parking of two vehicles and rear enclosed yard. The premise is heated with storage heaters. The property has been used as an estate agents office for the last 30 years and has A2 office use but can be converted back to A1 retail without any planning permission. A new lease will be granted terms negotiable with a rent of £15,000 per year. The property is situated just off the A41 Warwick Road and some 4 miles from Solihull town centre and 5 miles from Birmingham city centre. Very well established hair salon business operating just Wednesday to Saturday with sales averaging £900 per week and only being sold due to retirement with great scope for any new owner to really improve on the business. The freehold property briefly comprises ground floor salon area currently with 8 styling positions reception area and washing area rear kitchen/utility WC 2 x beauty rooms (could be let out around £100 pw each) and outside rear yard which could be used as car park. To the first floor separate entrance self contained flat with bathroom double bedroom kitchen and lounge let at £487.50 per month. There is gas central heating to the whole property with separate meters. The premise is located on a busy road in a parade of shops in Kings Heath an excellent residential suburb south of Birmingham. 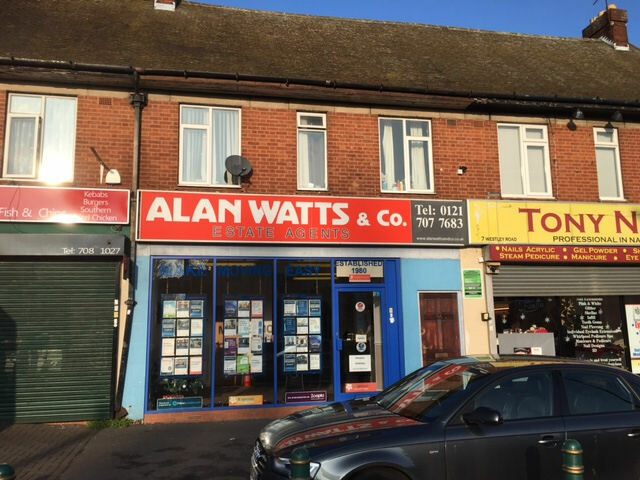 A rare opportunity to purchase a freehold property located in Acocks Green centre a thriving commercial area with many multiple retailers including Costa Coffee Wilko Boots Burtons Barclays bank ETC. 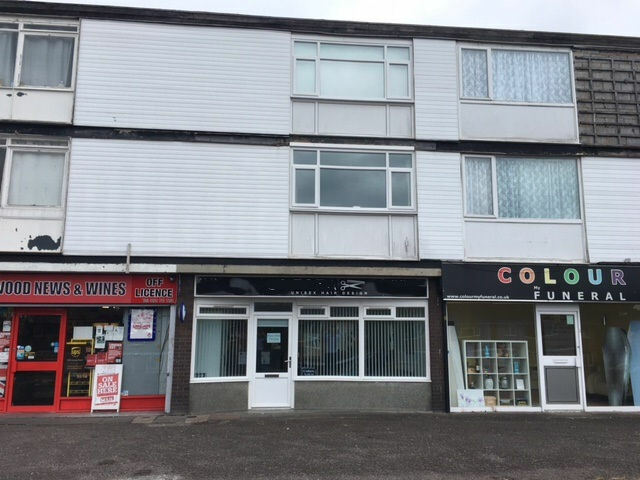 The mid terraced two storey property comprises ground floor retail/office space with kitchen and WC of some 57.8sq.m 620sq.ft with front forecourt allowing parking of two vehicles and rear enclosed yard. There is a separate entrance to a first floor self contained flat with lounge fitted kitchen double bedroom and bathroom with shower WC and wash hand basin and store room. The whole premise is heated with storage heaters. The property has been used as an estate agents office for the last 30 years and has A2 office use but can be converted back to A1 retail without any planning permission. The potential rental income from the property is around £21,000 per annum. The property is situated just off the A41 Warwick Road and some 4 miles from Solihull town centre and 5 miles from Birmingham city centre. 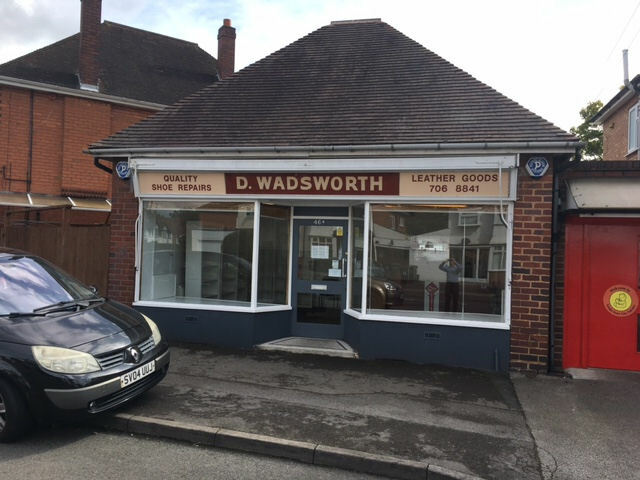 Family run Butchers business for sale located on a busy High street with sales of all types of meat and frozen fish sold mainly over the counter and with sales to local restaurants. Gross takings average £7,000 per week with a gross profit yield in the region of 30%. Property comprises ground floor sales area with cellar rear preparation room bathroom and walk in fridge and walk in freezer. Total ground floor area 1,400 sq.ft approximately. To the first and second floors 5 double bedrooms bathroom lounge kitchen store room and office. The whole property to be secured on a new lease terms negotiable with a rent of £29,950 per year or £20,000 per year for the ground floor only. Hours 9.00am to 7.00pm Monday to Thursday 8.30am to 8.00pm Friday & Saturday and 10.30am to 6.00pm Sunday. There is plenty of customer parking.